that my grandma had given her when she got a new one. Why? I have no idea, this pregnancy has made me more ambitious I guess. Well, because she is so awesome, she packed the box in her suitcase and brought it down. and I didn’t even attempt to touch it. 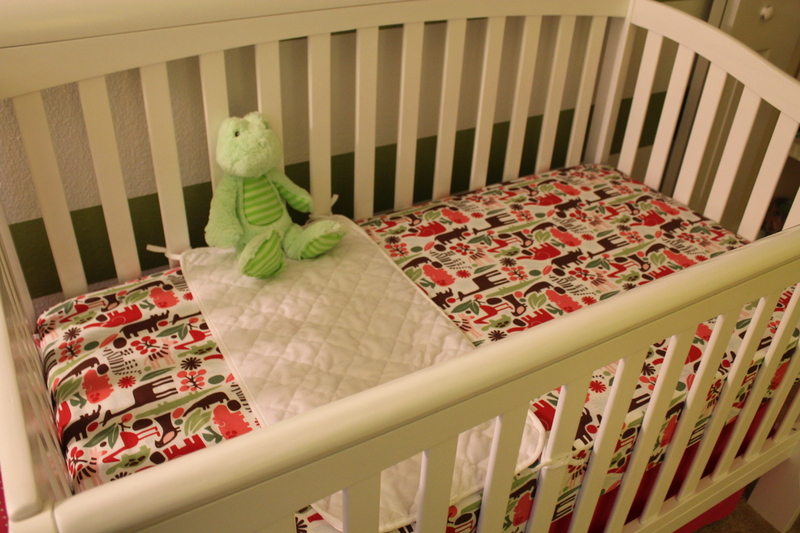 My crafty friend Sally kept telling me how easy it was to make crib sheets. My thought… of course it is, for someone who has touched a sewing machine before! off of Etsy with the back up plan to just bribe Sally to make a sheet for me. knowing that I would botch it up and be upset that I ruined it. So, I stopped by JoAnn’s and got yet another cute fabric for a whole $5. If I ruined this one, I’d only be out 5 bucks. That’s fine. AND it fit the mattress. I started out by following this tutorial by Dana Made It. I cut out my 8″x8″ squares on the four corners and sewed them together creating the pockets. At this point, I switched over to this YouTube video about sewing elastic. just as she did in the video. but who is going to look at the underside of the mattress and/or sheet? but of course I didn’t think about it until after I was already done. 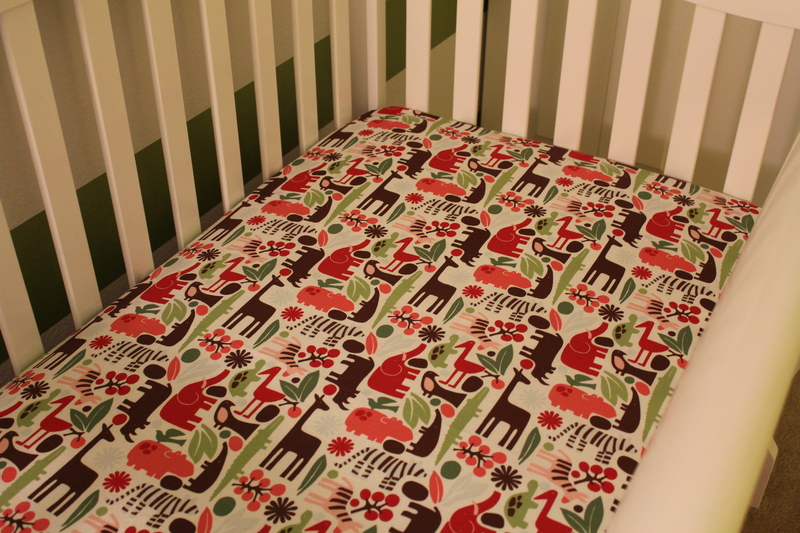 The fabric is Alexander Henry 2D Zoo in Holly! Yayyyy!!!! So amazing…. Love how cute this is- you a so talented!!! Kendra Dee – you are just TOO clever & creative for words ! Great job on the project ! NO SHEET ! Maybe this means you are in the ‘nesting’ stage & it won’t be long? 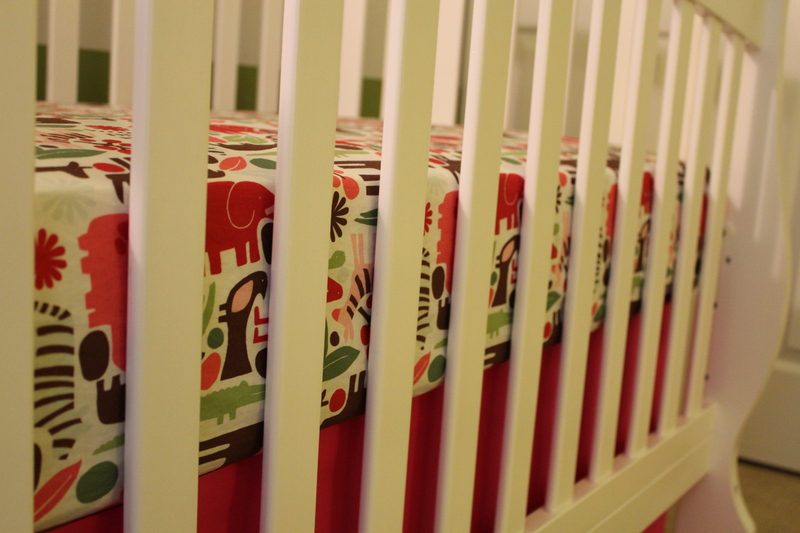 At some point you’ll be changing those sheets 3 or 4 times on some days…..so keep on stichin’….. those stylin’ sheets. I don’t know about Grandma but I’m proud!! You are becoming a regular little Miss Susie homemaker! What has this pregnancy done to you? Just kidding. You are awesome girl! Love you!